Okay, where did June go? 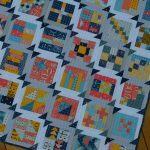 I fully admit I had planned and hoped to get way more accomplished this month, but boy, am I glad we had the Color Girl Challenge to keep me focused on those things at the top of my list: finishing quilts and working on clearing my t0-do list. When we started this month, I mentioned that I feel like I’m not as creative when I have a cluttered work space or long list of unfinished work. Do you agree? did finishing a few things clear your slate for more fun new projects? I had three quilts on my list to finish this month: the Moon Flower quilt (all bound up! ), the Pixie Medallion (finished top, backing, all ready to quilt! ), and now, the PomPom quilt is all quilted and bound. Many of you have asked and, yes, I am working on a pattern for this cutie. Stay tuned and be patient…it’s been busy around here! 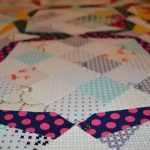 PomPom is made with a selection of the Tula Pink dots and stripes prints (you can buy a bundle like mine, here), and the Classic Curves Ruler made the cutting and piecing quick and easy. I really think this is a fun little shape. The background is a variety of ‘low volume‘ prints by Zen Chic (Moda fabrics, 2018). I had my doubts about using the prints instead of a solid color background. Once I had the quilt top done, I wasn’t sure I liked it. But now it’s quilted, I really do like it! the prints add a touch more interest, I think. 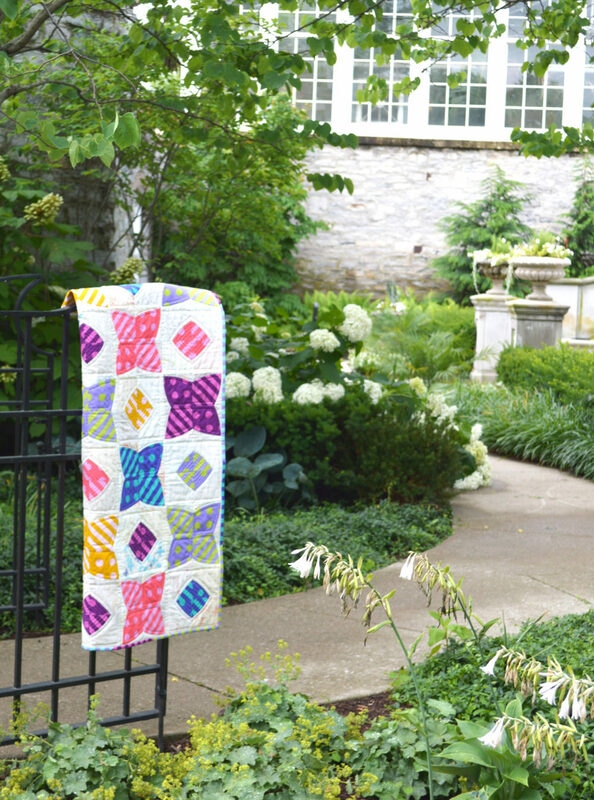 One thing I think is super fun is scrappy binding…isn’t this the perfect project for that? It was a no-brainer to use one of the stripes from within the piecing. But since I had fat quarters rather than yardage, the idea of cutting the binding from all of them rather than buying yardage to use just one was perfect. So, if you ever find yourself stuck for enough fabric for binding or backing, don’t be afraid to “make do” and piece some scraps. It really adds a bit of whimsy to the quilt. Okay, so if you feel inspired to have your own month of finishes, go for it! feels so good. 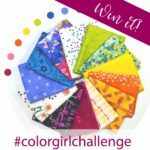 Check out #colorgirlchallenge on Instagram or Facebook to see all the great projects our community did in June. 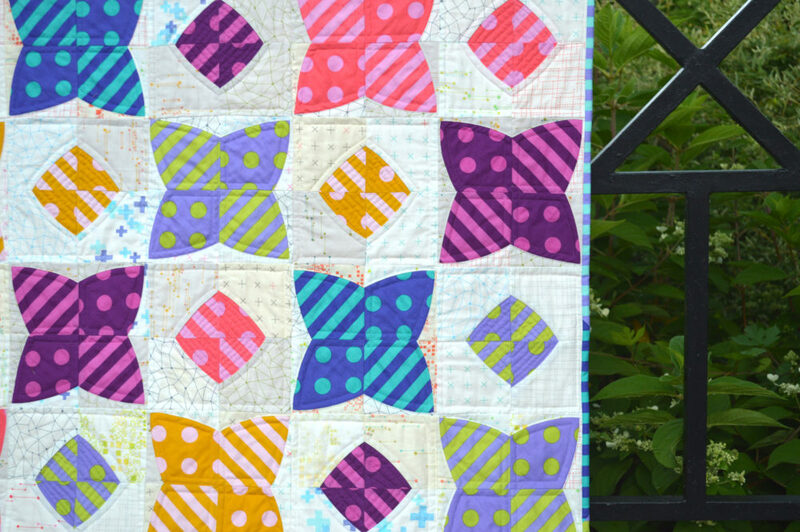 As promised, I am giving away a fat quarter bundle of the dots and stripes as well as a Color Girl pattern. I picked from everyone who posted on the hashtag this month and the name that came up is April Blood. 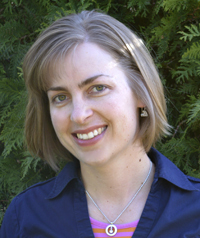 Wahoo, way to sew, April! Happy sewing, happy traveling, happy family time, happy July!